← TAG: 50 Random Facts About Me! This month has come and gone! 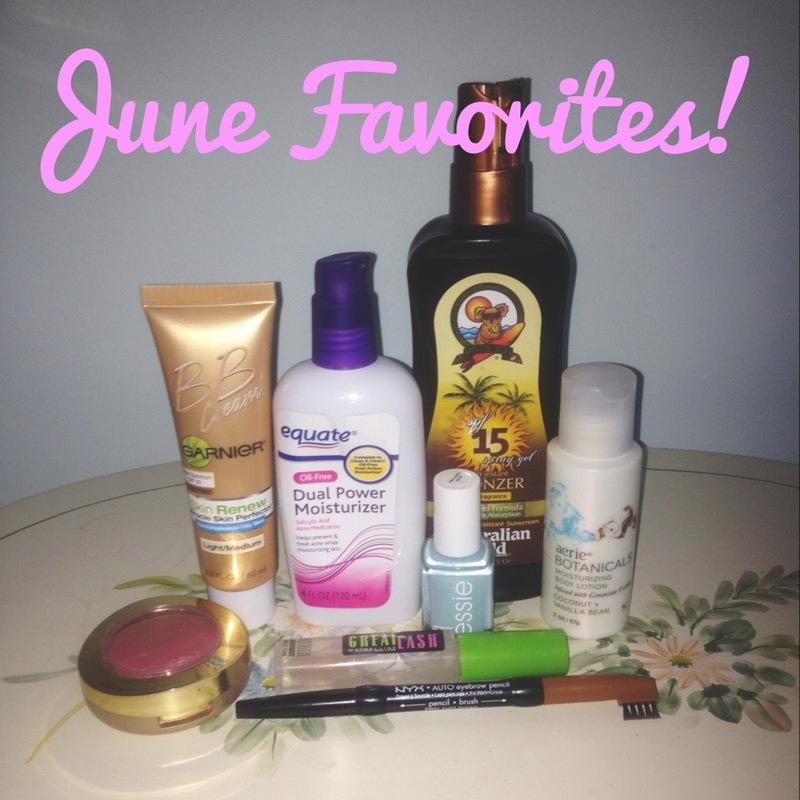 This June I was bringing back some of my older favorites and rediscovering my love for them. I hope you enjoy! This has been my LIFE SAVER. My skin has been acting up so I’ve been using my heavy duty acne medication to combat the pimples! Because of that my skin has been dreadfully dry (ouch!). This little baby has Salicylic Acid so it helps prevent and treat acne while moisturizing the skin! What could be better?! LOVE LOVE LOVE this! I’m not really into blush but this is my daily go-to color! I recommend it to anyone! When I’m tanning or out in the sun this is my favorite sunscreen! It smells nice too! I use this to hold my eyebrows in place after I fill them in! It’s so perfect and significantly less expensive than other brow gels! Like the BB Cream I totally regretted this product when I bought it. Now I really like it! Funny how things change?